We learn in grade school that metaphor is an ornamental figure of speech reserved for poets. But we now know that it is also a key strategy people use to make sense of the world, from basic concepts like time and causation to the major social issues facing society. 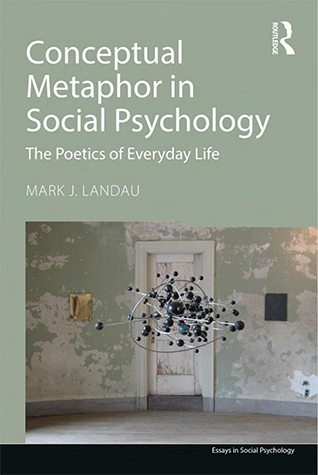 In this book, Mark Landau clarifies with wide-ranging evidence the many ways conceptual metaphor guides our thoughts and actions, shining a light on the cognitive underpinnings of social life. Conceptual Metaphor in Social Psychology synthesizes over twenty-five years of in-depth research. Drawing from innovative experiments conducted around the globe, Landau shows conclusively that individuals and groups use metaphor—often unconsciously—to grasp abstractions, make judgments and decisions, communicate, and organize their behavior. Each chapter explores metaphor’s importance for understanding a major topic in social psychology: social cognition, motivation, culture, the self, interpersonal relationships, intergroup dynamics, politics, and health. What emerges is a powerful explanation of how social behavior is shaped by and reflected in our bodily functioning, cultural context, and language use. Integrating insights from cognitive linguistics, anthropology, and personality, this book makes a compelling case that conceptual metaphor has a pervasive effect on human affairs. Researchers in social psychology will discover new ways to think about and investigate these related topics, while students of psychology will learn about an exciting development in understanding enduring questions about who we are and how we got that way. 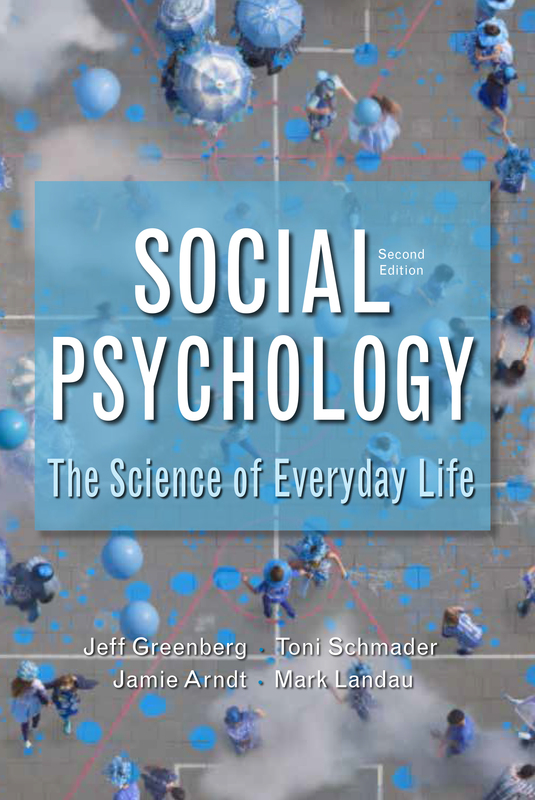 Drawing on over 50 years of combined teaching and research, Greenberg, Schmader, Arndt, and Landau guide students through the rich diversity of the science of social psychology and its insights into everyday life. The book introduces students to five broad perspectives on human social behavior: social cognition, cultural psychology, evolutionary theory, existential psychology, and social neuroscience. With these perspectives serving as recurring themes, each chapter organically weaves together explanations of theory, research methods, empirical findings, and applications, showing how social psychologists accumulate and apply knowledge toward understanding and solving real-world problems. This book explores the possibility that people understand abstract social concepts using metaphor, which is not simply a matter of words. Rather, it is a cognitive tool for understanding abstract concepts (such as morality) in terms of superficially dissimilar concepts that are relatively easier to comprehend (such as cleanliness). In the past decade, the development of a formal theoretical framework, labeled conceptual metaphor theory, has stimulated systematic empirical study on metaphor’s role in social psychological phenomena. This book summarizes current knowledge and integrates recent developments in the topic of metaphor and in the cognitive underpinnings of social life. We thank you for your interest and invite you to explore this website to learn more about our research team, topics, and how to get involved.